This pen has been lovingly used. It does not come with box or papers. There is some slight tarnish on the sterling silver. It is equipped with a Broad nib. 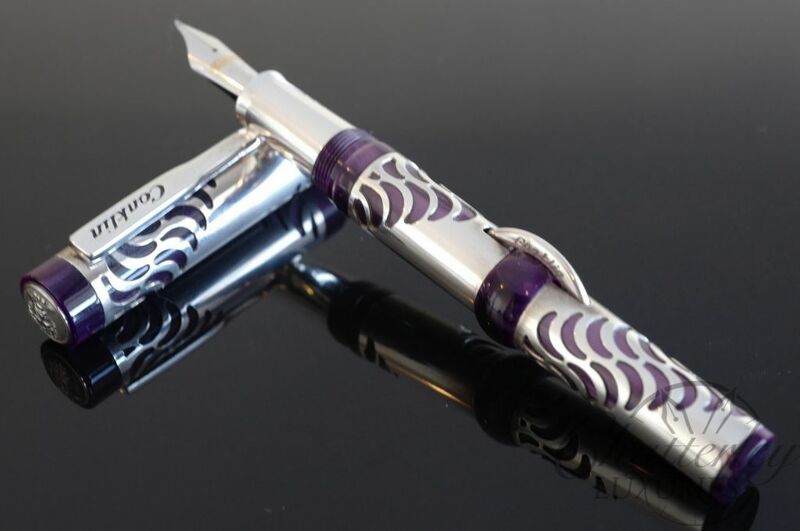 Crafted from a block of deep purple cellulose acetate, each pen is fitted with a hand carved sterling silver crescent pattern design overlay. 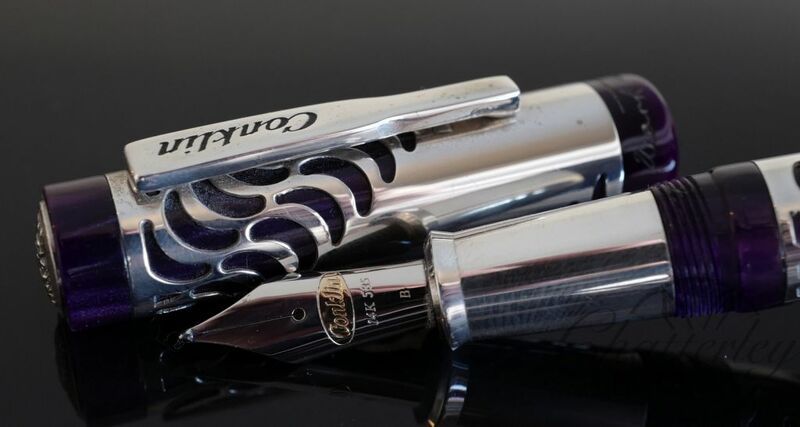 Further enhancing each pen is a Sterling Silver coin located on the top of each cap which features a raised relief of Mark Twain’s profile. Finally, Twains famous signature has been engraved on each band. 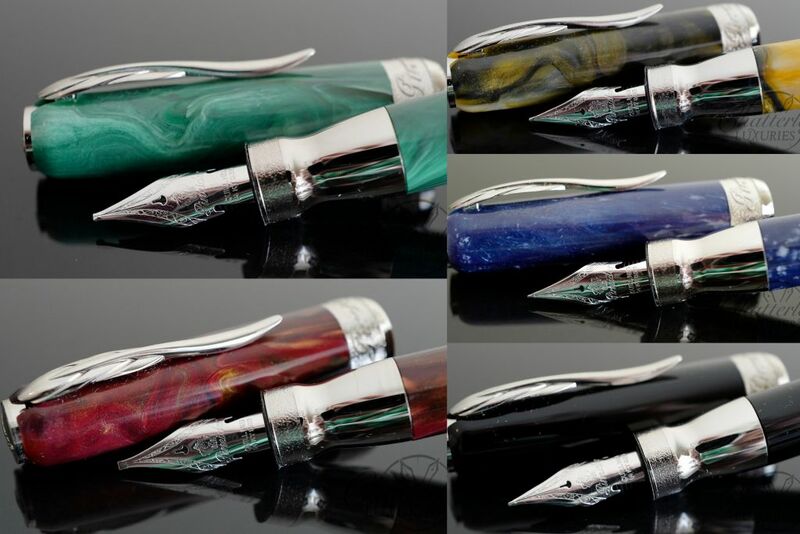 A Sterling Silver clip and large 14kt gold nib complete each pen.